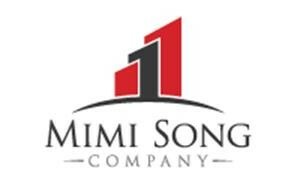 Mimi Song Company is a Southern California based land brokerage firm. Our clients include top residential developers, family investment trusts, and solar energy developers. Ms. Song has made her mark in real estate by becoming a valued resource and consultant for regional developers, publically and privately held residential construction companies, land developers, and investment firms. Mimi’s excellence in providing opportunities to developers has made her #1 in the Southern California. Specializing in market knowledge and political processes, Ms. Song is able to navigate today’s market and strategically assist their clients to effectively utilize real estate for maximum results. Her effective leadership allows the company to handle all levels of the consulting market with reliable and impressive results. Ms. Song is also a Founder of Reprogramming Foundation (www.Reprogreen.org), an organization responsible for building two agricultural schools in the Far East of the Russian Federation, one on Sakhalin Island and the other in Vladivostock. These programs help juveniles of the local Korean Diaspora to understand their ancestral Korean heritage. She received an Honorary Doctorate degree from Asia Life University in Korea in recognition of her service to the community. 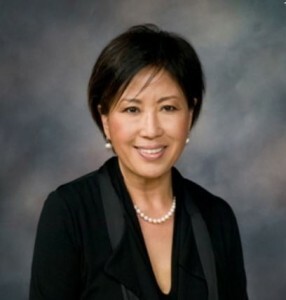 In 2004, as the co-founder of the Global Leadership Foundation (www.jamagldi.org), Ms. Song works with California State Monterey Professor Dr. John Kim, to develop the future leaders of America. She also serves as a Vice Chairwoman for Global Korean Network Foundation and a boardmember of Korean Cultural Heritage Foudation(www.kchfa.org) as well as a Board of Directors of Overseas Korean Traders Association Southern California (www.okta.net) and a Vice President of Korean American Commissioners Association. (“KACA”). Most recently, Ms. Song was appointed as the chairwoman of board of directors at International Agricultural Development Institute (www.iadi.or.kr) to serve one of many its major businesses including agricutural support to N. Korea and Russian agricultural export support. John Reeder has a wide range of real estate and development knowledge based on past positions as a project coordinator and project manager for a regional engineering firm, in addition to his experience as a land broker covering the Inland Empire. With a focus on using technology to further the success of clients, John led Mimi Song Company’s efforts to become the premier land brokerage firm in the area of solar development site selection. In addition he is active in the sale of residential land and lots, having brokered thousands of of lots that will be home to future residents of the Inland Empire. John’s clients have included national banks disposing of distressed assets, regional investment syndication groups, family trusts, and several of the leading solar energy companies. His sales experience stretches from Orange County, California, to Pinal County, Arizona and covers much of the land in between.